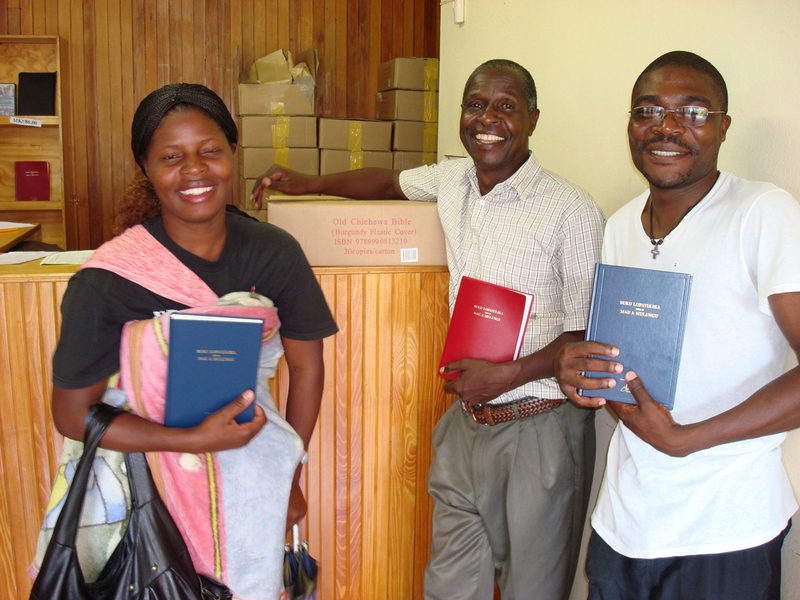 1,000th language submitted to the DBL by United Bible Societies was the Lambya New Testament, courtesy of the Malawi Bible Society in Africa. Photo: Timothy Kamau. The Digital Bible Library® (DBL) supplies Bible texts to ministries all around the world. It is the largest Scripture database with 1,276 total Bible translation items available. Digital developers of mobile and web solutions can access these translations on the basis of license agreements from copyright owners through the “Library Card”, which allows applications to connect to collected resources. Thanks to DBL access, technology developers can create apps that can switch between 422 full Bibles, 800 New Testaments and 54 portions for reading, search and comparison of texts. 1,000th language submitted to the DBL by United Bible Societies was the Lambya New Testament, courtesy of the Malawi Bible Society in Africa. Malawi Bible Society, a member of UBS, is an actively using the full spectrum of Bible ministry also launching Ciyawo & Chichewa language audio Bibles earlier this year.